Kavli Frontiers of Science – Berkeley alums represent! 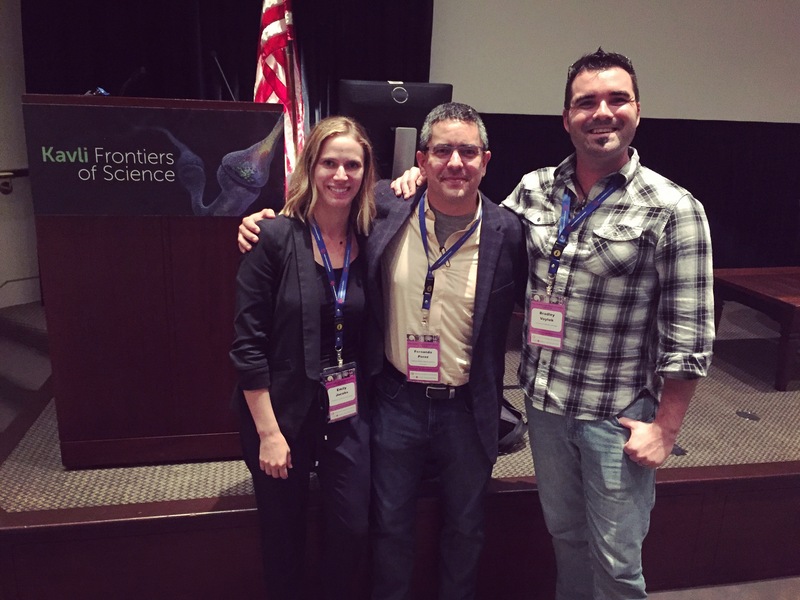 Bradley Voytek (HWNI alum of the Knight Lab), Fernando Perez (current LBNL faculty and HWNI affiliate) and Emily Goard Jacobs (HWNI alum of the D’Esposito lab) were named National Academy of Sciences Kavli Frontiers of Science Fellows. The Kavli Frontiers of Science symposium series (KFoS) is the Academy’s premiere activity for distinguished young scientists. Attendance at a KFoS symposium is by invitation only and attendees are selected from among award winners for early career scientists in the US and abroad. These KFoS attendees include Sloan Fellows, Packard Fellows, MacArthur Genius Grantees, Pew Fellows, Searle Scholars and Presidential Early Career Awardees for Scientists and Engineers (PECASE). In addition to learning about research at the frontiers of fields other than their own, the program is intended to create a network of connections that can be maintained as participants advance in their careers. Since its inception, 195 program “alumni” have been elected to the NAS and eleven have won Nobel Prizes.